Are you looking for a little chef that make your beans super-fast from scratch? Then you will need the best pressure cooker for beans that cook your beans simply fast with ease. Cooking your dried beans is such a time-consuming chore. You need to soak beans for hours and again need to cook them slow on a stove top for next few hours. You spent almost all day on cooking beans in a traditional way. Isn’t it tedious and time-consuming? If you want to save your time and energy while cooking dry beans, then a pressure cooker is the best bet. This little chef can cook your beans fast and make tender and a flavorful warm pot of beans in just a few minutes! Today, we come up with the best pressure cooker for cooking beans which eases your chore. Also, go through our buying guide that helps you to take well-informed decision. 1 How Long Does it Take for Beans to Cook in a Pressure Cooker? 3 How to Quick Soak Beans in a Pressure Cooker? 4 How to Cook Beans in a Pressure Cooker? How Long Does it Take for Beans to Cook in a Pressure Cooker? There is no accurate time for cooking beans in a pressure cooker. The time of cooking depends upon the type of beans you are going to use to cook. 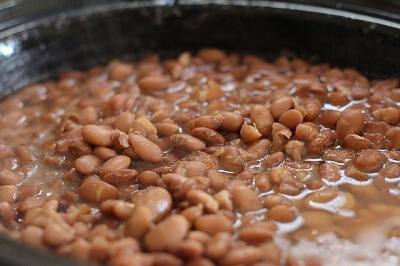 Most type of dried beans takes about 1 hour to cook in a pressure cooker. Some dry beans take 30 minutes whereas some take 45 minutes. It is good practice to allow for release pressure automatically for beans. It helps to keeping its shape intact after pressure cooking. If you are in a hurry, you can release after 10 minutes. But do it with care. 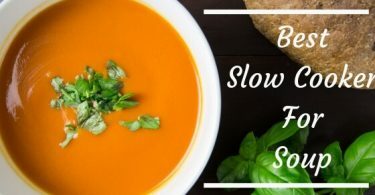 Looking for slow cooker for making soup? Then click here. How to Quick Soak Beans in a Pressure Cooker? You can quick soak your beans in a pressure cooker with getting almost all benefits of the traditional soaking method. You don’t need to spend a longer time to soak beans like the traditional way of soaking. 1.Measure the beans calls for your recipe and rinse it thoroughly. 2.Place all the beans in a pressure cooker. 3.Add a teaspoon of salt and water. Add four cups or one-liter water to 1 cup dry beans. Here salt prevents the skin of beans from splitting. 4.Put the lid on and set the valve for pressure cooking. 5.Set the pressure cooker program for 2 minutes at high speed. 6.When cooking time ends up, open the pressure cooker with slow normal pressure release. Some cooker automatically releases the pressure itself some are not. You can do it manually by Lightly rotating the valve. It helps to release the pressure gradually. 7.When the pressure releases out completely, the lid gets unlocked. Turn the valve to open the lid. 8.Drain the water from beans and rinse it again. Now, you can use this beans for your delicious soaked beans recipe. Searching for thermos that keep food hot for 7 hours? Then click here. How to Cook Beans in a Pressure Cooker? 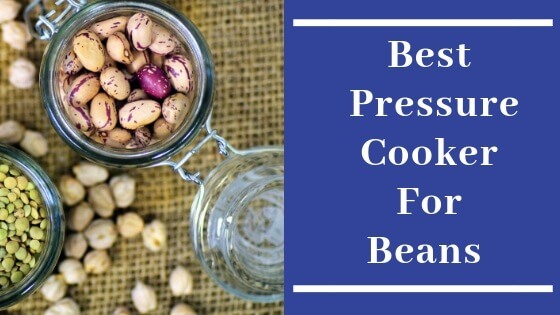 You can cook any type of bean that you like in a pressure cooker. Some legumes like split peas, lentils, etc. you can add straight away in a pressure cooker to make tasty recipes. While some other needs a soaking. Because some beans like red kidney beans may cook unevenly if they go straight away into the cooker without pre-soaking. Some of them may be overcooked, while some beans would have under-cooked. If they soaked properly you will get even cooked beans after pressure cooking. Pick the beans you want to cook. Rinse the beans thoroughly. Drain the water completely. Add the beans in the pressure cooker. Pour enough water into the pressure cooker to cover the beans about 4 or 5 inches of water. Place the lid on a pressure cooker and lock it securely. Set the valve for pressure cooking. When cooking is done and lets pressure releases out itself. Turn the valve and open the lid. Don’t fill the pressure cooker more than halfway including beans, water, and other ingredients. The pressure cooker should contain at least ½ cup of liquid to function precisely. It is good to add 1to4 tablespoon oil and 1 tablespoon salt to one pound of beans while soaking and cooking. This helps to keep shape and external skin of beans intact. It also aids to generates less froth and foam. You can add soda while cooking beans in pressure cooker. It enhances the tenderness to the beans. Add can ¼ tablespoon of soda in 1 kg. beans. Click here for best juicer for celery. Instant Pot IP-DUO60 pressure cooker is all in one appliance that caters your almost all culinary needs. It can perform as a slow cooker, rice cooker, steamer, yogurt maker, etc. and a lot more. The capacity of this pressure cooker is 6 qt. which is perfect for a small family. It comes with lid holder convenient for right and left-handed users. This pressure cooker has a large control panel with 14 smart programs. It comes with adjustable temperature settings- less, normal and more. When using a pressure cooker, safety is the most important factor. But you don’t need to worry when using this insta pot as it is UL and ULC certified with 10 proven safety mechanism certified. Now a day most of the pressure cookers come with nonstick coating. But this insta pot comes with a stainless steel coating which is the best part of this pressure cooker. Because stainless steel is more safe than non-stick to use for cooking food. So, most of the folks prefer stainless steel. You don’t need to soak beans as this pressure cooker can cook the beans right out of the bag. If you toss dry or un-soaked beans in this insta pot to cook, it will be ready in less than an hour. It can cook large batches of beans without taking extra time to cook. Mealthy Multipot 9 in 1 programmable pressure cooker comes with great price and performance ratio that makes it stand out from other pressure cookers on the market. It is a versatile pressure cooker as you can make yogurt, cakes, cook rice, sauté, slow cook, steam and pressure cook the food. This pressure cooker comes with an easy touch control panel. It includes 9 in 1 functions and 14 preset programs. This device is featured with an intuitive LCD panel with inbuilt icons and progress indicator. Now no more guesswork for cooking! The appliance comes with 6qt. stainless steel pot with stainless steel steamer that allows you to cook two dishes at one go. It can make short of work for cooking most of the dishes, especially for cooking beans. It can cook dry beans in for your delicious soup in just 45 minutes. This pressure cooker has a mobile app which is again an amazing feature about this cooker. You can follow recipes and cooking guides with the help of the app and cook like a pro! Now you don’t need to consume a lot of time for meal preparation as our little chef Cuisinart CPC-600 6 Quart 1000 Watt Electric Pressure Cooker come to help you to turn out your culinary task easy and fast. This Cuisinart pressure cooker reduces your cooking time by 70 percent. It comes with brushed stainless steel housing which is fingerprint proof too. This 1000 Watt pressure cooker has 6 qt. capacity. Cuisinart takes care of all aspects of safety. It comes with an auto lock system. The pressure cooker doesn’t start to pressurize until the lid is locked securely. When it is locked, it will not open until all pressure has been released. It has cool touch handles that eliminate the possibility of burn your hands while handling. The pressure and temperature measures and adjust automatically by a pressure control device. The thermostat turns off the device if it is operating with no food inside the pressure cooker. It also adjusts temperature ranges precisely. The pressure cooker can cook dry beans (washed) straight out of the bag in just 50 minutes. It cooks beans to its perfection. The inner pot of the cooker is dishwasher safe. So you don’t need to wash by hand all the time. The nonstick coating of the pot makes it easier to clean. The addition of COSORI electric pressure cooker into your kitchen can replace your 8 kitchen appliances. It can work as a pressure cooker, slow cooker, rice cooker, yogurt maker, steamer, sauté, warmer and hot pot. This works with a wide array of tasks in your kitchen. I personally like its feature of hot pot. You can use it as a hot pot. What does it mean by hot pot? 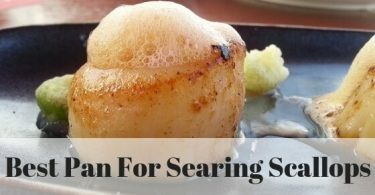 You can place it on the table as a hot pot while simmering and let people enjoy food whereas cooking goes on simultaneously. Isn’t it great! So, you can enjoy fondue, tofu, etc. social recipes with this pressure cooker. It comes with 6 qt. capacity that is enough to cook for 4 to 6 person family. The device featured with 16 smart programs which allow you a wide array of different recipes. The pressure cooker has delay timer allows you to delay cooking time up to 12 hours. It comes with 3-ply bottom stainless steel pot without any chemical coating. This pressure cooker has 6 custom smart control programs for cooking a vegetable, seafood, poultry, rice, beans, beef. This Power Pressure Cooker XL enables you power cooking which locks the nutrients of food while cooking. It is featured with one-touch setting for beans, meat, fish, stews or soup, rice, vegetables. Now making your beans is just simple with just one touch operation and let the pressure cooker do the rest of the job! It comes with a digital display control panel which is easy to use. The keep warm mode helps to keep your dish warm until serve. The pressure cooker has a safe lock lid and manual steam release for safety. It has large arm handle of the lid allows convenient for opening the lid. This pressure cooker infuses the flavor of food. So you can enjoy flavorful and tasty beans with this device. You can cook un-soaked beans within an hour. This Yedi Instant programmable pressure cooker comes with 15 cooking programs at this price point which makes it stand out from its competitors. It replaces most of your kitchen gadgets as it is all in one appliance can pressure cook, slow cook, sauté, make yogurt, cake, etc. It comes with a tempered glass lid which works perfectly for sautéing and slow cooking. The device has an LCD control panel with intuitive icons and progress indicator. So, no need for guesswork anymore! This control panel has 9 in 1 cooking function and 15 instant touch programs. The 15 program comprises of Meat/Stew, Poultry, Bean/Chili, Soup, Sauté/Sear, Cake, Egg, Rice, Multigrain, Porridge, Steam, Slow Cook, Keep Warm, Yogurt, and Pressure Cook with manual setting. It comes with a steamer basket that enables you to cook two dishes simultaneously. The inner cooking pot also constructed of stainless steel which is again plus point of this pressure cooker. The inner pot is food grade and 3-ply bottom that enables even heat distribution. It is featured with a lot of safety features such as smart locking sensor, anti-block shield, safety locking lid, automatic pressure control, pressure protection system, etc. So don’t need to worry about safety while using this appliance. This Mueller Austria Pressure Cooker designed in Germany with quality rubber seal and an internal microprocessor that makes it long lasting. It is featured with 19 smart programs which allow you to cook a wide array of recipes. You can make recipes of meat, poultry, vegetables, egg, cake, beans, canning, white rice, steam, Risotto, soup, etc. with just one touch button. Now you can cook your delicious warm pot of beans with one-touch operation. It can cook dry beans in 40 minutes. Many users are happy with the bean cooking with this pressure cooker. It comes with a stainless steel rack that allows you to cook two dishes at one go. The inner cooking pot constructed of food-grade material with no chemical coating. It has a 3-ply bottom for even heat distribution. These are the best pressure cooker for beans. You can try out a wide array of recipes along with beans with these models. They can make your culinary task easy and fast. Forget pre-soaking and simmering of beans! If you want to save time and energy while cooking dry beans, any model of pressure cooker from these will never let you down. Choose the best pressure cooker as per your need and preference and enjoy cooking with this little chef!